Definition at line 667 of file llviewerobject.h. Definition at line 670 of file llviewerobject.h. Implemented in LLVOClouds, LLVOGrass, LLVOPartGroup, and LLVOTextBubble. 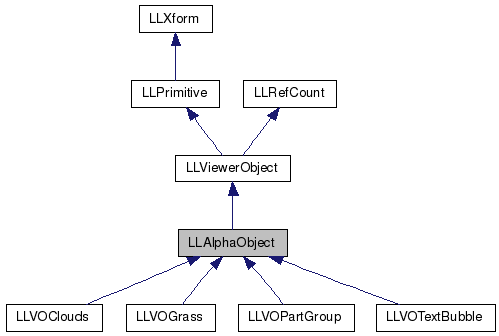 Reimplemented in LLVOClouds, and LLVOPartGroup. Definition at line 4818 of file llviewerobject.cpp. Definition at line 4813 of file llviewerobject.cpp. Definition at line 683 of file llviewerobject.h. Referenced by LLParticlePartition::addGeometryCount(), LLAlphaObject(), LLVOGrass::plantBlades(), LLVOPartGroup::updateGeometry(), and LLVOClouds::updateGeometry().